I have finally come up with my official motorcycle and travel bucket list. I wouldn’t say that there is all to it but for the mean time, those are what matters to me. I will always come back to update the list – to cross out what has been achieved and to add new ones as well. Lakbayan is c reated by Eugene Villar. I have created a separate page for it you can see above or you may click here. Please go over my list and let me know what you think. It might be already a long list but I would love to hear you suggestions. The road less traveled is less traveled for obvious reasons. Oftentimes though, taking that turn (intentionally or not) to the off-beaten path is very rewarding. The Sagnay-Tiwi road is no different. I have tried multiple times to ride this road but the conditions were never right. Tagging with 2 other motorcycle riders, I am finally fulfilling this dream ride. 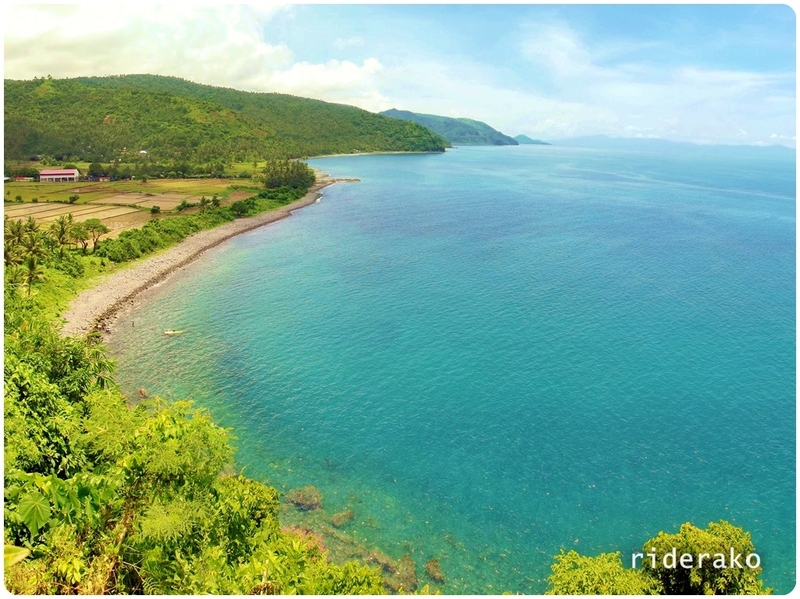 It may only be 30 kms long, but the sharp curves on this coastal road would make any motorcycle rider grin from ear to ear. If Patapat in Pagudpud, Ilocos Norte is the French Riviera of the North, I call this the French Riviera of the South.. The North Luzon has been one of the favorite tourist destinations in the Philippines. Although it pertains mostly to the Ilocos Region, there are still many places to explore beyond Pagudpud. 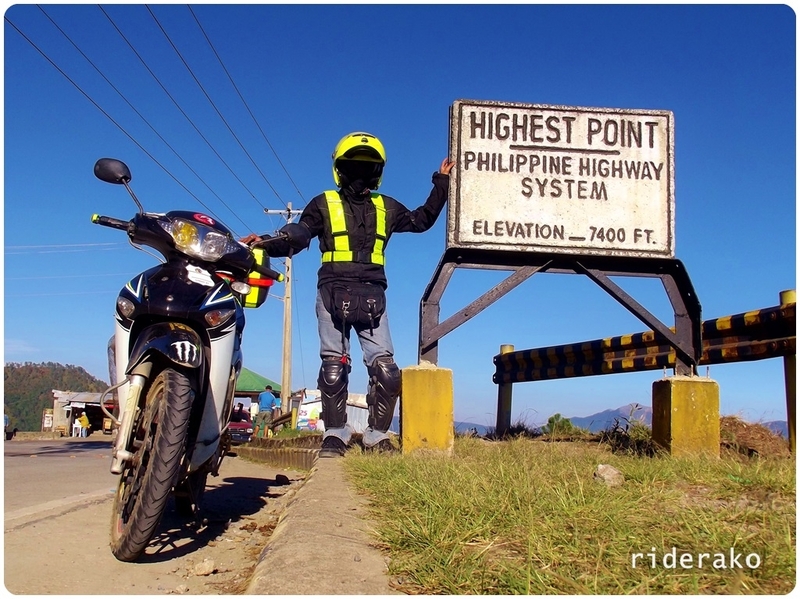 To motorcycle riders, getting to Ilocos is only a portion of it. “Looping” the northern Luzon Island is the main goal. It is easily 1200 kms from Manila and takes at least 2 days to complete. I’m almost done with it as I approach the last leg of this trip. 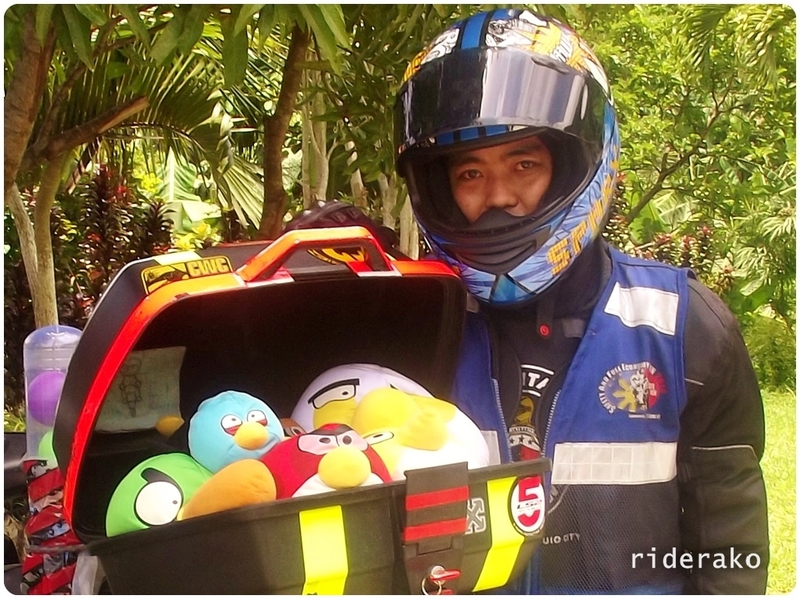 For the remaining 400 kms, I intended to be more of a rider than a tourist. In fact, I wanted to keep the stops to a minimum so much, I missed a crucial gas stop. Sadanga has been tough on me. Going out of my way to see this highland village was both mentally and physically challenging. There were a lot of unknown variables and my mind was constantly reminding me it was a bad decision. Luckily, I came out of it unscathed and more experienced (I would like to think so) in riding on steep, dirt roads. 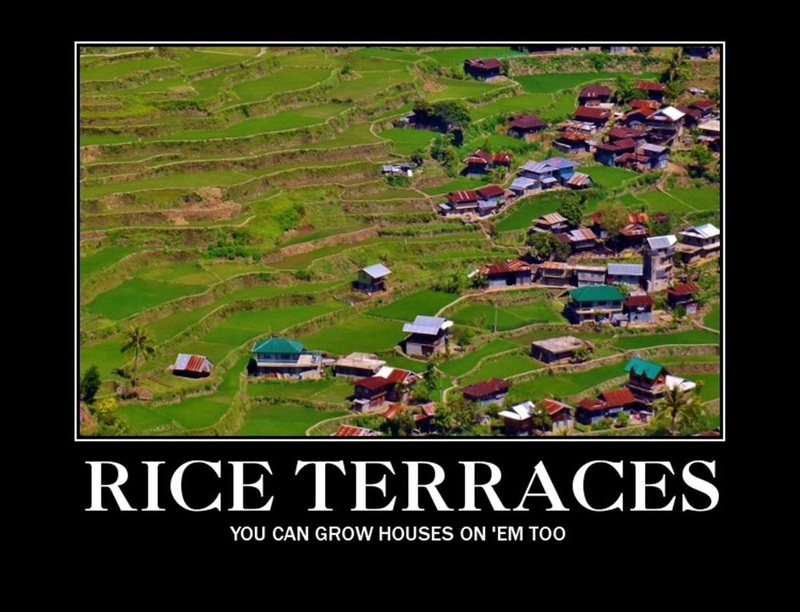 Plus I got to see Bekigan Rice Terraces and Focong Rice Terraces and the dwell in the community that treasures them. Somehow, Sadanga has sensed that although I was grateful and thrilled with the sidetrip, I was anxious most of the time I was negotiating the challenging terrain. 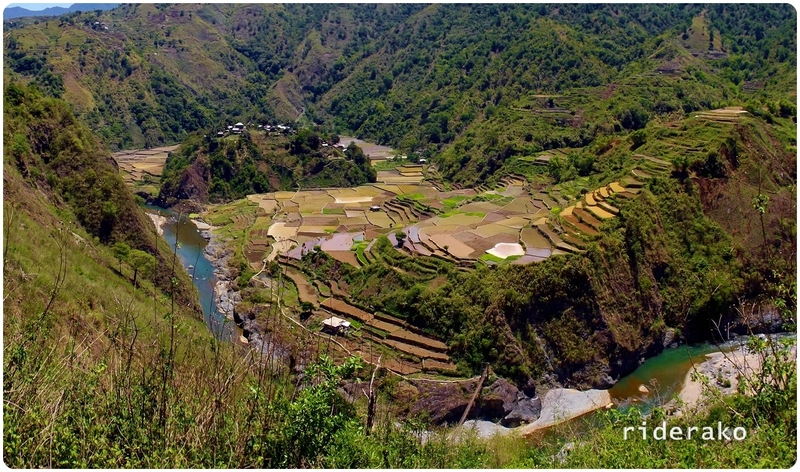 I am about to exit Sadanga and enter Bontoc so as if a soothing farewell gift she presented me with Barangays Betwagan and Anabel with a classic display of farmers planting on the rice terraces. 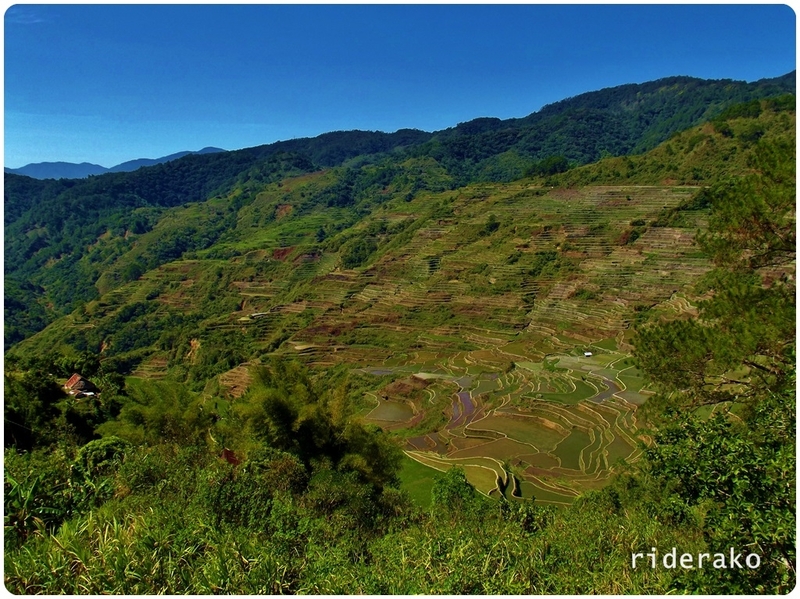 I visited Sadanga to see Bekigan and Focong Rice Terraces. I thought I have accomplished that when I toured the sloped roads of Brgy Poblacion. Turns out, that was only Bekigan. If not for a fellow motorcycle rider, I would not have known of Sacasacan and the Focong Rice Terraces it is hiding high up on the mountain. Sacasacan is one of the 8 barangays of Sadanga, Mountain Province. Getting there was not easy at all. They were paving the road with concrete which should be a good thing when it’s done but while it was still on-going the road was in pretty bad shape with all the construction materials dumped everywhere. So after the most grueling 100-meter climb I ever did on a motorcycle, I was stumped on my tracks as the road was blocked with a mound of sand and gravel. It seems the only way over it was to TRY to cross it where it was lowest. But there’s a catch..
Oftentimes, “Sadanga” always gets mentioned. I got used to the locals using Sadanga as a point of reference that when I was asked in Tinglayan where I am headed, I automatically answered “Sadanga” instead of “Sagada”. Hearing it often somehow set my mind that “I am going to Sadanga.” Really!? I am?? “Kapit Dhona, “Sadanga” (anagram: Sagad Na!) na to! !